What is the PRINCE2® Foundation & Practitioner online course? PRINCE2® is the world's most practised method for project management, with over one million certified professionals across 150 countries worldwide. 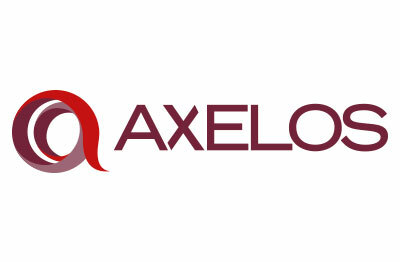 Developed by leading best practice solutions provider AXELOS, it offers a practical, flexible and scalable methodology to help manage any project, regardless of size or type. The PRINCE2® methodology is a made up of seven core Principles, Themes and Processes. The Principles represent the 'why', the Themes represent the 'what' and the Processes represent the 'how' of project management – and together they provide a clear path to project management success. 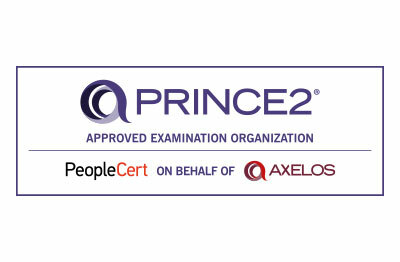 PRINCE2® Foundation training materials with the official PRINCE2® Foundation exam. 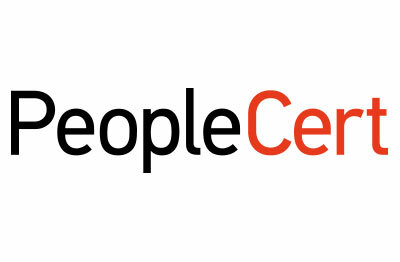 Official PeopleCert accredited course materials with the PRINCE2® Practitioner exam. Exclusive tutor support through our Mentor+ platform that provides you with uninterrupted, one-to-one guidance from a PRINCE2® expert throughout your course access, ensuring that you are never alone while you study with us. The Managing Successful Projects with PRINCE2® manual is the official guide for PRINCE2®. It will support the course materials and the career of any Project Manager. An online version of the PRINCE2® manual, the official publication. I passed my PRINCE2® Foundation & Practitioner exams with good results, so I can only recommend this course provider. The course was easy to follow and the communication with e-Careers was excellent. I passed the exam with 82% of questions answered correctly. Is the PRINCE2® Foundation & Practitioner online course right for me? This package includes both Foundation and Practitioner level PRINCE2® courseware, making it suitable for complete project management beginners who wish to progress to practitioner level. Practitioners holding the current PRINCE2® certificate are not required to take the updated 2017 exams, but are recommended to familiarise themselves with the new course material. If you think you'd prefer to study PRINCE2® in a classroom, why not explore our classroom training options? PRINCE2® (PRojects IN Controlled Environments)	PRINCE2® is the world's most widely adopted project management methodology. It is utilised in both public and private sectors to implement projects in many industries, including healthcare, construction and I.T. It is a scalable methodology that is suitable for any project of any size. How will I advance my career with the PRINCE2® Foundation & Practitioner online course? This online course is ideal for anyone looking to maximise their employability in roles that involve project management. Having PRINCE2® training and certification on your CV will prove your knowledge of this leading methodology and set you apart from other candidates. Project managers can go on to work in a variety of different fields, all around the world! This PRINCE2® qualification truly can take you anywhere. Why study the PRINCE2® Foundation & Practitioner online course with e-Careers? PRINCE2® can be tailored to the needs of each organisation or project environment – and can be used to manage projects of any type and size. Continue on to take the Foundation and Practitioner level exams (not included) to achieve PRINCE2® certification. Online courseware means that you can learn when and where is convenient to you. A sound training investment for businesses and organisations who wish to streamline, unify and optimise their project management methods. What are the PRINCE2® Foundation & Practitioner online course modules? To gain PRINCE2® certification, you'll be required to take two exams - one closed-book and one open-book. What does the PRINCE2® Foundation & Practitioner online course cover? Understand the key concepts relating to projects and PRINCE2. Study the PRINCE2® Principles including: continued business justification, learn from experience, defined roles and responsibilities, manage by stages, manage by exception, focus on products, and tailor to suit the product. Learn how the seven PRINCE2® Principles underpin the PRINCE2® method. Study all of the PRINCE2® Themes: business case, organisation, quality, plans, risk, change and progress. Understand how the Themes can be applied throughout the project. Follow the project lifecycle from start to end with the seven PRINCE2® Processes: starting a project, directing a project, initiating a project, controlling a stage, managing product delivery, managing stage boundaries and closing a project. Advance your understanding of the PRINCE2® methodology to Practitioner level. Understand how to apply and tailor relevant aspects of the seven PRINCE2® Themes in context. Study the seven PRINCE2® Processes and learn how to apply and tailor them in context. Introduce yourself to the Agile Project Management methodology, a flexible concept that allows you to deliver high quality products despite any changes in project scope. Demonstrate industry best practice in project management and business strategy execution by learning the MSP® methodology, developed by AXELOS. Hello, I am interested in your "PRINCE2® Foundation & Practitioner Online".